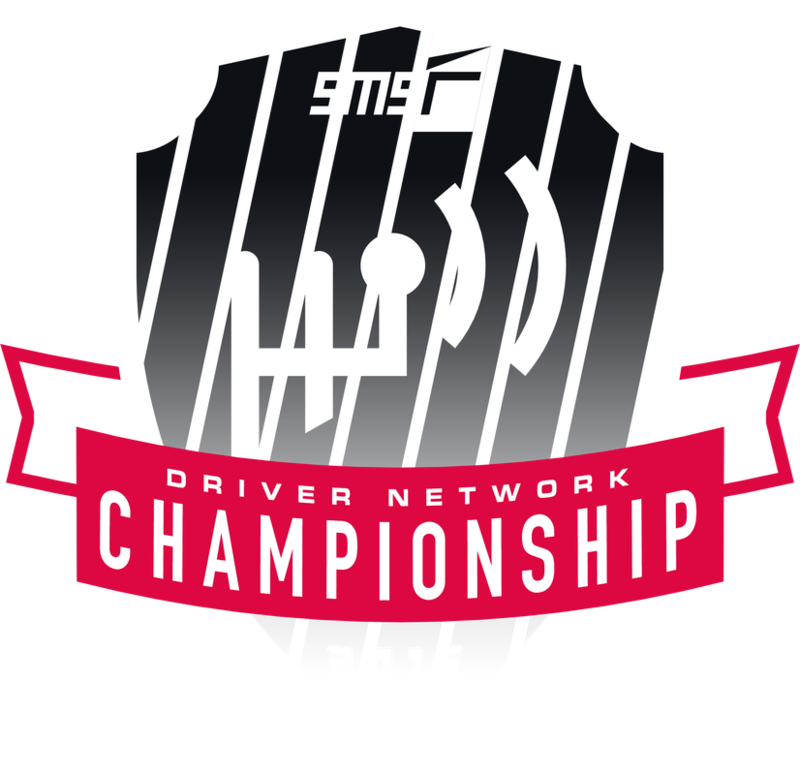 Throughout 2015, all players will be able to participate in the SMS-R Driver Network Championship with a bid to being inducted into the Driver Network Hall Of Fame at the end. The 2015 SMS-R Driver Network Championship comprises of a series of 18 sequential rounds that coincide with real-life motorsports events occurring on weekends throughout 2015/2016. The aim of each round is to set the fastest lap time on the leaderboard before it expires. Players are free to enter any 'live' rounds as many times as they wish using their primary account without penalty. Entries posted under alternate or secondary accounts will not be credited to the primary account. Rounds are live between 00:00 UK and 23:59 on the dates stated. Once a round has expired, the results will appear in the Past Rounds list within the game and here. Drivers must use the track at all times. For the avoidance of doubt the white lines defining the track edges are considered to be part of the track but the kerbs are not. A driver will be judged to have left the track if no part of the car remains in contact with the track. Any times deemed ineligible due to suspicious or fraudulent circumstances will be ignored. Furthermore, penalties will being awarded to all teammates for any action bringing the championship structure into disrepute. UPDATE 6TH AUGUST - From 7th August inclusive and onwards, all participants wishing to post entries into the SMS-R Driver Network Championship are restricted to using their 'primary' Xbox Live Gamertag, PSN ID, or Steam Profile. Any entries posted under a different account will be treated as separate accounts accordingly and will not be accredited to the primary account. Rules & Regulations above updated accordingly. UPDATE 14TH JULY - Clarification has been made above that the results of each round will be gathered 24 hours after expiry. This gives all participants time to ensure their ghost data is available whilst also imposing a deadline. UPDATE 30TH JUNE - Following a further investigation into information brought forward regarding SDL Motorsport's participation in the SMS-R Driver Network Championship, evidence of unsportsmanlike conduct was found amongst several members of the team and therefore all times posted by members of SDL Motorsport in Round 7 have been disregarded along with any Championship Points they would have earned from that round. Regulations above updated. If a single team member is found to have done any action that would bring the championship into disrepute, all members of the team will be awarded penalties that may include (but are not limited to): removal of times, removal of Championship Points, banning from participation, denial of entry to public events. UPDATE 26TH JUNE - In order for their times to be counted, as of 26th June 2015 onwards, all participants must make their ghost data available for verification. Failure to produce ghost data will result in entries not being counted. UPDATE 16TH MAY - If participants choose to enter on multiple platforms, only their fastest times will be counted. NB.. current Championship standings will therefore be retroactively re-calculated following Round 3 in order to rectify the double points currently earned by competitor 'BAM Anto'. This update is done with the approval of BAM eSport. UPDATE 27TH MAY - Times achieved through tactics that would have incurred a penalty in real life will henceforth be ignored. Additionally, further improvements to the Track Cutting system are currently in progress with the aim of nullifying the ability to shortcut chicanes and 'wall-ride' around armco.